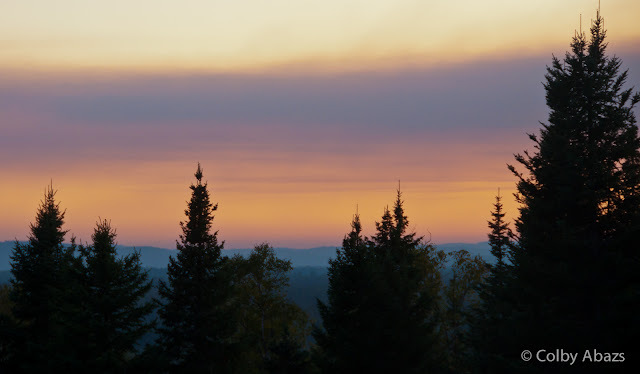 Many of you have probably heard about the huge fire in the BWCAW in northern Minnesota. It was smokey where I lived very early on in the fires life even before it got crazy big. I live just south of the fire, around 20 miles. There was A LOT of smoke and it made for some beautiful sunsets. This photograph shows what was a common view for a good week. I like the gradient of color with the dark smoke cloud cutting across the top. I also like the stacks of trees silhouetted in the front.